Students in Idaho who are on the path toward a college education yet are in need of financial aid seek out the Idaho Student Loan Finance Association (SLFA) for help. There are a number of different loans a student can get such as the Federal Family Education Loan Program and other various not-for-profit loans. The (SLFA) is another organization where students may obtain a loan. Operated by Sallie Mae, SLFA uses the payouts from bonds to strictly provide students with loans. 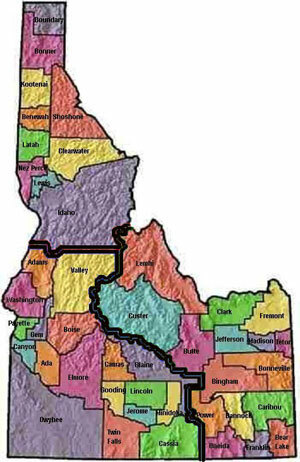 The SLFA offers loans in Idaho, Washington, and Oregon. The partnership between Sallie Mae and the SLFA allows the student more options. Students can now obtain these alternative loans at very little cost. This is because the organization is large enough to where they do not need an egregious amount of money from any one person. By pooling their finances, they are better suited to aid students. Many students may apply for a Signature Loan which simply uses your signature as collateral. This long-term loan requires is given with little interest to those who are eligible. This is only one means of a loan and students may have to acquire additional loans to fully pay for college such as the Free Application for Federal Student Aid (FASFA). To be granted this loan as an undergraduate or graduate student, the lending agency looks at the credit history of the applicant as well as a source of income. As most students entering college do not have a credit score or a steady supply of income, their parent or guardian may be asked to co-sign the loan. The only way to be turned down for this loan is if the signee’s debt-to-income ratio is not in good standing. When you receive a student loan most federal grants do not require you to start repaying until 6 months after graduation. The time till full repayment of the loan varies. For some, you must make payments for up to 10 years; whereas others take up to 30 years to repay. There is a lot of jargon that goes along with loans, and many people have a hard time figuring out just exactly what they are getting. For help in navigating through all the details and terms, there are various websites you can go to for help. You or your co-borrower can apply right online and get almost immediate notification of approval. The problem with student loans is that they must, in fact, be repaid, usually following a brief grace period after your graduation date. This grace period is convenient for students, and ideally provides you with a period of time to get your feet on the ground and get started in your career. Many choose to take out loans with a shorter repayment time, say 10 years. This requires a larger amount to be paid per period than do longer repayment times. The longer date to maturity means smaller loan payments on each payment date. However, this also increases the total amount you will have to pay back. The main problem students have in paying back loans is that there are some students who do not get a job equal to their degree right out of college. This means they have trouble paying back the loans initially. After falling into debt, many consider getting consolidation loans. Idahoan graduates who have fallen into student loan debt may apply for consolidation programs. Consolidation gets your payments extended, lowers your interest rate, and allows you to make one manageable monthly payment. Extra perks attached to the loan include a lower interest rate for consecutive on-time payments and deeper cuts for those willing to have payments automatically deducted from their bank accounts monthly. Consolidating your loans makes sense if it means saving your credit from ruin.